Join us for some free pizza and a great talk about science! Prebiotics and lactose intolerance: Can we re-train our gut microbiome? M. Andrea Azcarate-Peril, Ph. D.
A limited ability to digest lactose occurs when the intestinal lactase enzyme is reduced in the brush border of the small bowel mucosa. At infancy, our bodies express an abundance of lactase to help us break down the lactose in breast milk. Over time, lactase expression declines in our bodies, leading to uncomfortable abdominal symptoms when milk is consumed. In these cases, lactose travels through the gastrointestinal tract and is fermented in the colon, producing acetate, carbon dioxide, hydrogen, and methane by gas-producing microbes. Approximately 75% of the global human population are lactose maladsorbers. Our research aims to determine if the prebiotics galacto-oligosaccharides can re shape our gut microbiome to overcome lactose intolerance. By increasing the numbers of commensal lactose metabolizing bacteria that reside in the colon in a targeted fashion, we can rely on them to metabolize lactose. Our results indicated a definitive change in the microbiome of lactose-intolerant individuals that consumed prebiotics, increasing the abundance of lactose-metabolizing bacteria. This change correlated with clinical outcomes of improved lactose tolerance. M. Andrea Azcarate-Peril, Ph. D. is Assistant Professor of Medicine in the GI Division at UNC Chapel Hill. She is also the founding and current director of the Microbiome Core, which helps investigators interested in addressing the roles of the microbiota in health and disease. Dr. Azcarate-Peril is a microbiologist by training and has extensive experience in the study of microbial populations and functional metagenomics. She has been interested in how probiotics and prebiotics work, and how they keep us healthy, for more than 20 years. Her projects aim to understand how age, diet, and nutritional behaviors impact the gut microbiome. 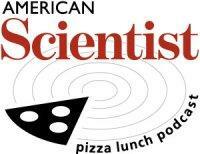 Thanks to a grant from the N.C. Biotechnology Center and funding from the RTP chapter of Sigma Xi, American Scientist's noontime Pizza Lunch speaker series is free and open to science journalists and science communicators of all stripes, as well as any interested member of the public. Feel free to extend this invitation to anyone who might want to attend. 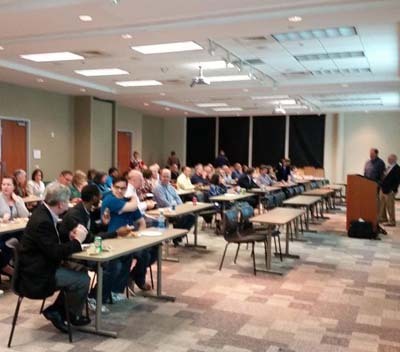 Talks are co-organized with Science Communicators of North Carolina (SCONC). The RTP chapter of Sigma Xi is a co-organizer and co-sponsor, and encourages any interested scientists to get involved with the chapter and its upcoming events. We thank The Frontier for providing its Classroom meeting space for this event.